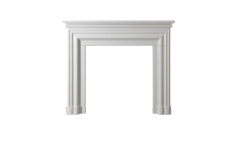 The Hexham 1500 is a rather grand mantel seen here in Polar White, a man-made micro marble predominantly white in colour. 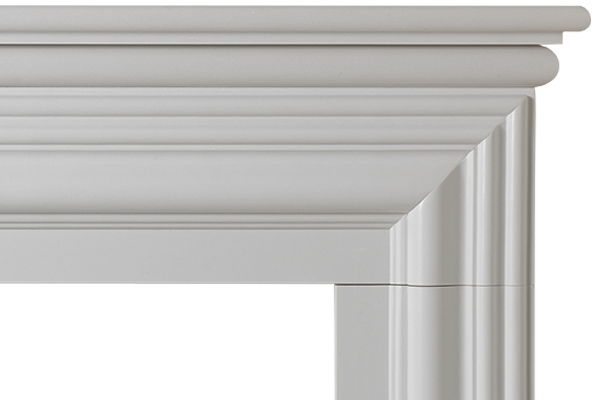 This mantelpiece has a two-tier shelf with a bullnose edge, which is also replicated in the curved design of the mantel legs, lintel and feet. Similar in design to our Hexham 1350 design, this model is larger in size with internal slips attached to the opening. 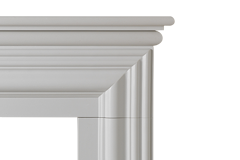 The Hexham 1500, as the name suggests, comes with a shelf length of 1500mm (59″) and a standard internal rebate of 75mm (3″) allows for the fitting of a back panel or cast-iron insert. 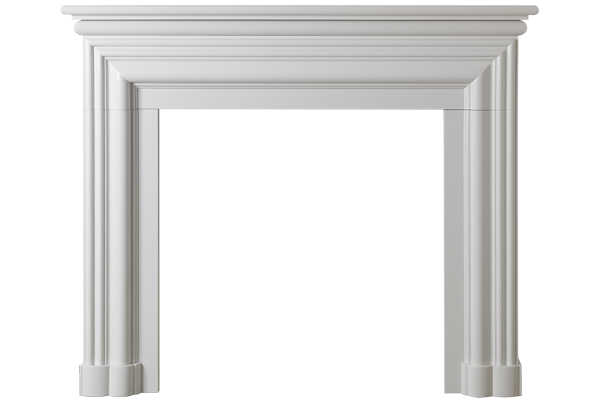 If the Hexham mantel is being used with a solid fuel fire (i.e. wood burning stove) it is advisable that a natural material is used instead of micro marble to ensure that the mantel can cope with the intense heat. The Hexham is also available in pure Turkish Limestone, a creamy beige colour, or by contrast a pure black sandstone called Slate Stone, which looks similar to Welsh slate in colour and texture.